Founded in 2000, umf Corporation is the leader in the research and development of high performance textiles for the Commercial Cleaning and Infection Prevention in the healthcare, hospitality, and industrial laundry markets. 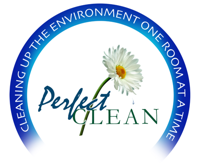 umfCorporation delivers advanced, patented antimicrobial technology with industry-leading PerfectCLEAN® products, education, training, motivation and support. The company, headquartered in the Chicago suburb of Skokie, IL, is the only U.S. company that designs, engineers and manufactures high-performance fibers and accessories to help its customers meet tough new challenges in public health and safety.